Little Gallery showing the most famous event in Munich taking place every year from the end of September to the beginning of October. 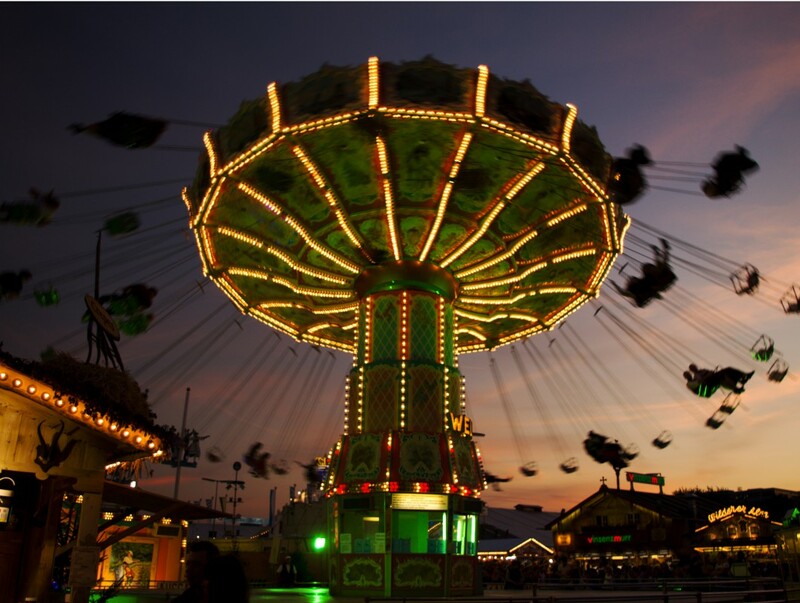 Oktoberfest is the world’s largest funfair held annually in Munich, Bavaria, Germany. It is a 16-day festival running from late September to the first weekend in October with more than 6 million people from around the world attending the event every year. 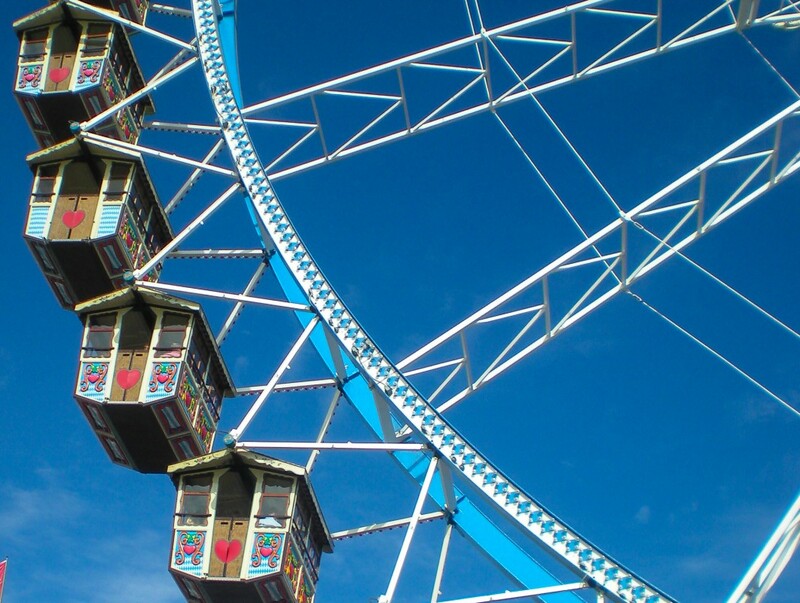 Locally, it is often simply called Wiesn, after the colloquial name of the fairgrounds (Theresienwiese) themselves. 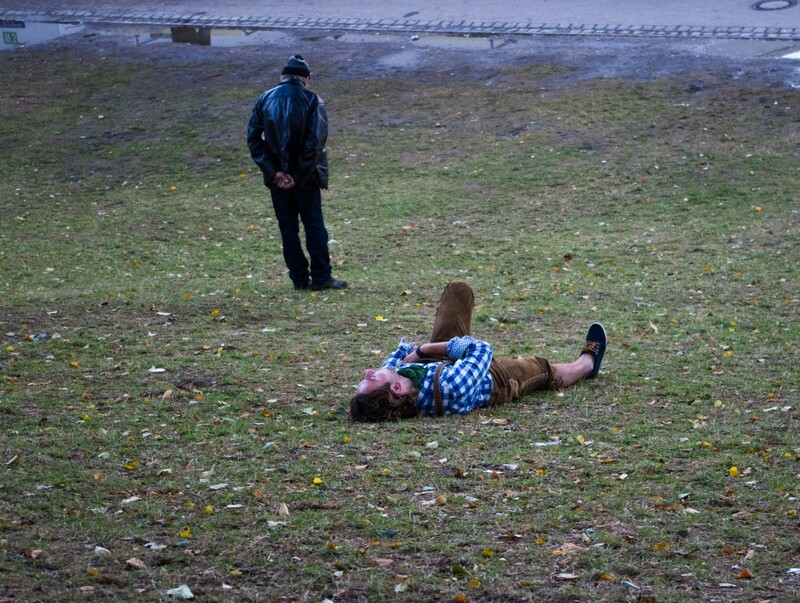 The Oktoberfest is an important part of Bavarian culture, having been held since 1810. 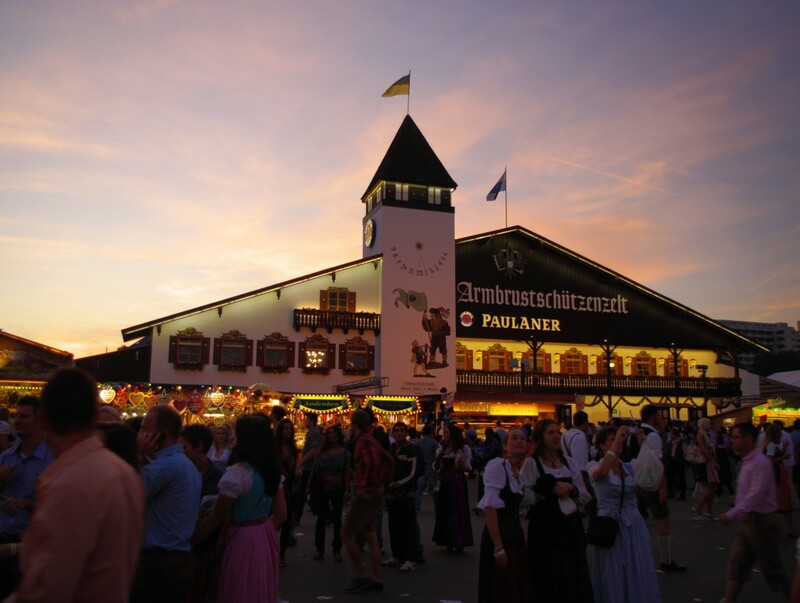 Other cities across the world also hold Oktoberfest celebrations, modeled after the original Munich event. 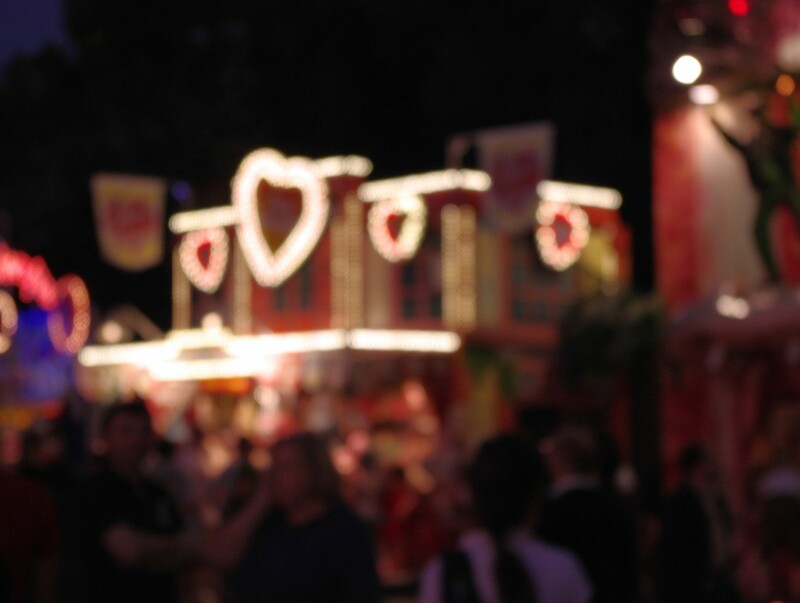 The Munich Oktoberfest originally took place during the 16 days up to, and including, the first Sunday in October. 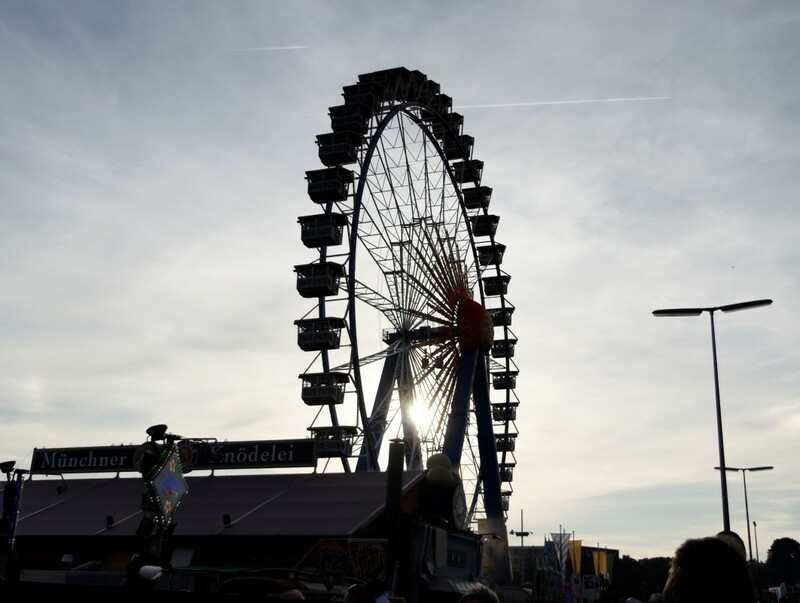 In 1994, the schedule was modified in response to German reunification so that if the first Sunday in October falls on the 1st or 2nd, then the festival would go on until October 3 (German Unity Day). Thus, the festival is now 17 days when the first Sunday is October 2 and 18 days when it is October 1. In 2010, the festival lasted until the first Monday in October, to mark the anniversary of the event. 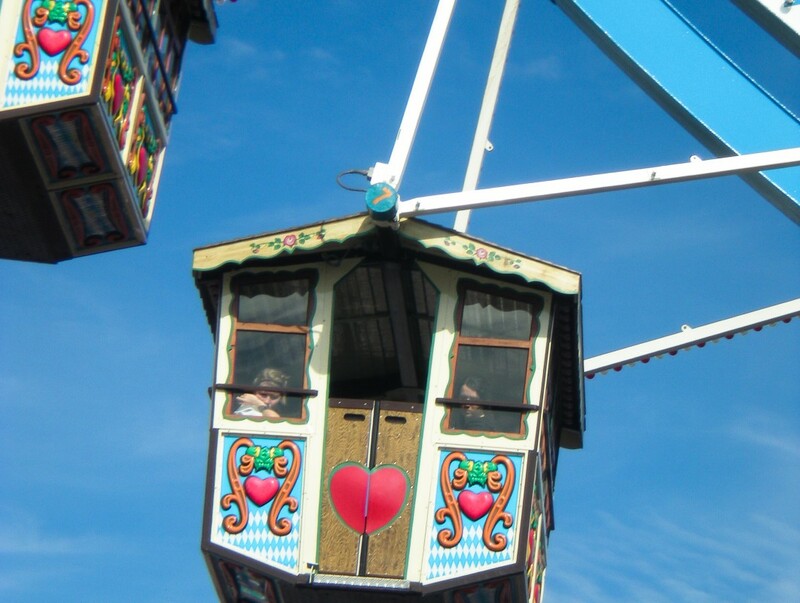 The festival is held in an area named the Theresienwiese (field, or meadow, of Therese), often called Wiesn for short, located near Munich’s center. 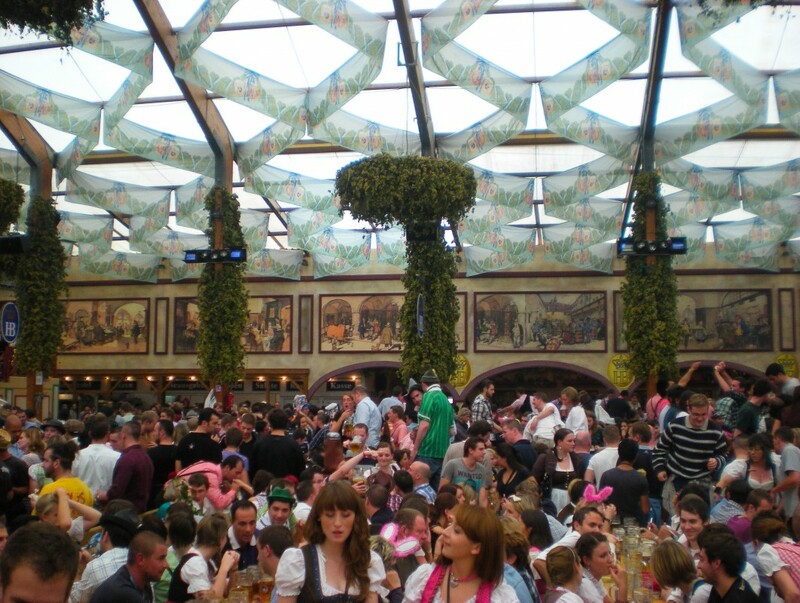 Large quantities of Oktoberfest Beer are consumed, with almost 7 million litres served during the 16 day festival in 2007. 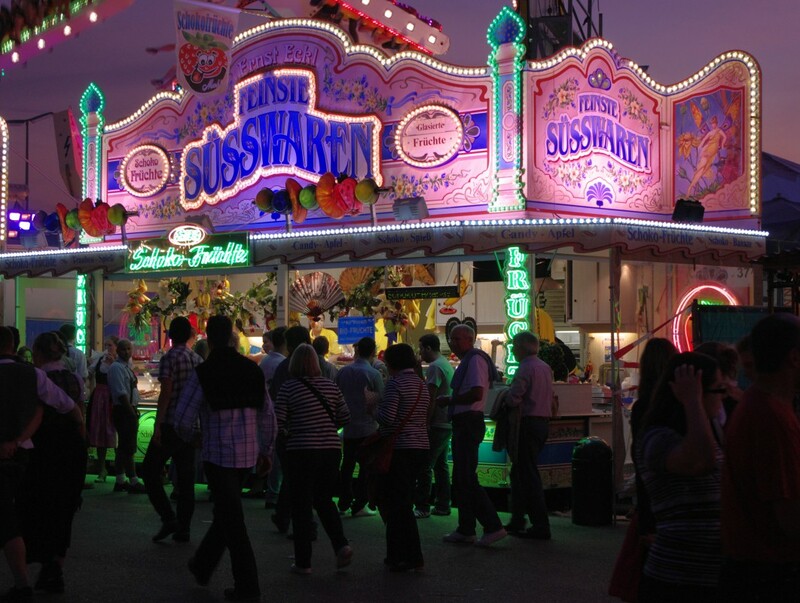 Visitors may also enjoy a mixture of attractions, such as amusement rides, sidestalls and games, as well as a wide variety of traditional food such as Hendl (roast chicken), Schweinebraten (roast pork), Schweinshaxe (grilled ham hock), Steckerlfisch (grilled fish on a stick), Würstl (sausages) along with Brezen (pretzel), Knödel (potato or bread dumplings), Käsespätzle (cheese noodles), Reiberdatschi (potato pancakes), Sauerkraut or Rotkohl/Blaukraut (red cabbage) along with such Bavarian delicacies as Obatzda (a spiced cheese-butter spread) and Weisswurst (a white sausage).